Dr. James Biskup, Dr. Robert Saniuk, Emma Edwards, PA-C and Chrissy Svoboda, PA-C have all received Advanced training and are Certified in Advanced Bioidentical Hormone Replacement Therapy for Male and Female patients. They continue to increase their knowledge by training with some of the best authorities in this field. Hormonal Balance is absolutely necessary for good health as you age. Many men and women are plagued with symptoms of hormonal imbalance as early as their 30’s. The longer they go without the protection of hormone replacement therapy, the greater the risk of developing serious health problems including osteoporosis, diabetes, heart disease, many cancers, impaired vision and alzheimer’s disease. 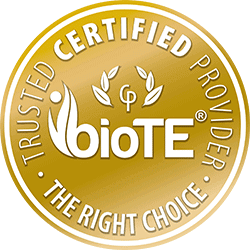 Dr. Biskup and Carmen Magistro, PA-C, have received training and certification with BioTE Medical for Testosterone and Estrogen Pellet Implantation. Biote is a Bio-identical form of hormone therapy that seeks to return the hormone balance to youthful levels in men and women. Hormone pellets are identical to our own hormones and cannot be patented, so they have been ignored by the major pharmaceutical firms. Clinical studies during the past decade have proven the superiority of pellet therapy, and the remarkable impact it has had on the men and women who use it, without the side effects of synthetic drugs. Pellet therapy uses bio-identical, all natural estrogen and testosterone, delivered by small pellets inserted just under the skin. The pellets are the storehouse of hormones which the body can access as needed based on cardiac output. Pellets deliver a consistent level of hormone and outperforms oral, patch and cream prescriptions with few side effects. Hormone pellets are the only type of hormone replacement therapy that deliver balanced hormones 24 hours a day, 7 days a week for three to six months. When considering pellet therapy, it’s important to know that your practitioner was trained by a BioTE expert who studied hormone replacement therapy extensively so you can be sure that your dose is appropriate for your specific needs. Please visit their website at www.biotemedical.com for more information or call our office at (402) 292-9170 and ask to speak to Geri at extension 1010.